After more than 20 years in the financial services industry, I took a leap of faith, I made a decision to join Johnson Financial Group. It was one of the best decisions of my life. One of the benefits of that move was the ability to become more involved in the community I call home. Within my first year at Johnson Financial Group (JFG), I joined the KABA Board. Reflecting back on how our community has grown, the great companies that are now part of our landscape and the representatives from those companies that play such a vital role in helping to define our path forward, reaffirms I made the right decision. I am thankful I am part of KABA and have had the privilege to work with these individuals. Working for a company that urges us to make our communities a better place has challenged me to do more. Our chairman has said “…put more into the world than you take out…” This inspired me and has allowed me to grow as an individual, building strong relationships both within our organization as well as in our communities. It has also increased my commitment to JFG as they support me in my efforts to be part of the community. Just as JFG has supported me in my volunteerism, I support my team. My team is active on several boards throughout the community. I encourage each of them to find something they are passionate about and get involved. Community involvement provides employees with a way to interact with each other outside of the workplace. Community events bring employees together in a different light, where they get to know one another better. As a result, employees create stronger bonds and collaborate effortlessly in the work environment. When you have a close-knit culture, I believe employee satisfaction increases. Getting involved in the community is a great way for any organization to build relationships and boost visibility and brand awareness. 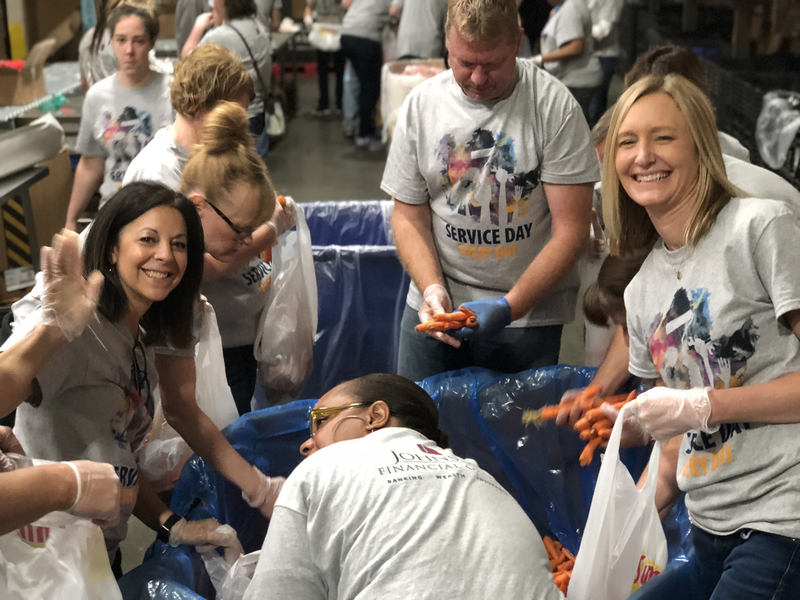 Whether it’s by sponsoring or taking part in community programs, or by enabling employee volunteerism, companies that encourage involvement in the community may stand out among their peers and see multiple benefits as a result, such as a happier workforce or a more loyal customer base. There is a growing interest in companies that make corporate social responsibility part of their business platform. This interest is coming from the community, customers, employees and job seekers. It may come as a surprise to find that many job seekers take a company’s community involvement into account when applying for and accepting jobs. If all things are equal, a highly desirable job candidate could decide between your company and a competitor based on your company’s work in the community. In speaking with my KABA partners over the years, I know they have focused on not only retention of key talent but attracting new talent as well. Reaching out to volunteer is a great way to recruit and attract like-minded people. That’s why we’ve worked so hard to become part of the fabric of Kenosha. In order to have a healthy environment inside a company, there has to be a healthy environment outside the company in the community. It’s important to be engaged, to be involved in keeping our communities strong and thriving. As we look to the future and see our community continue to grow, we will be faced with new challenges. Getting involved and/or giving your employees the opportunity to volunteer will have even more of an impact. Build relationships with your community and partners. Get involved. Make a difference. Written by Karla Krehbiel, Regional President – Southeast for Johnson Financial Group and Chair of the KABA Board of Directors.